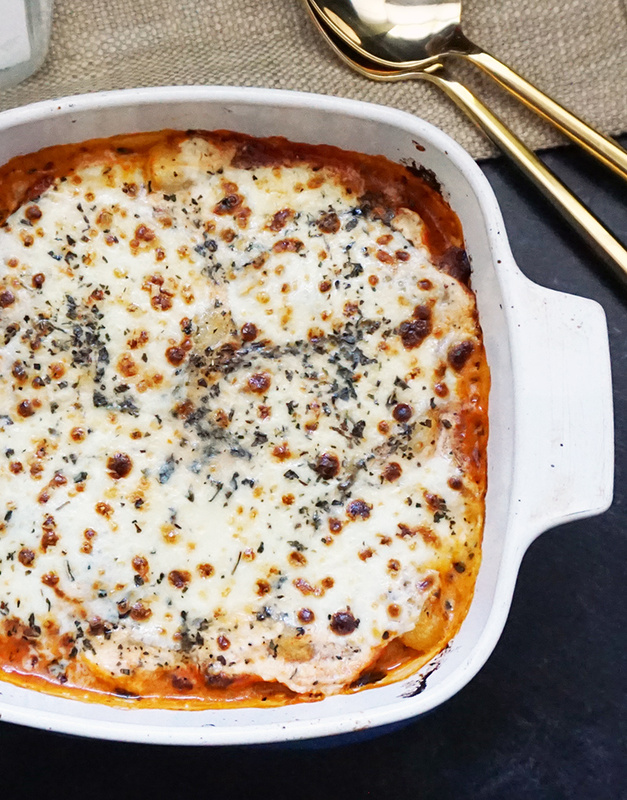 Lasagna is such an easy, fool-proof dish that you can make in no time. 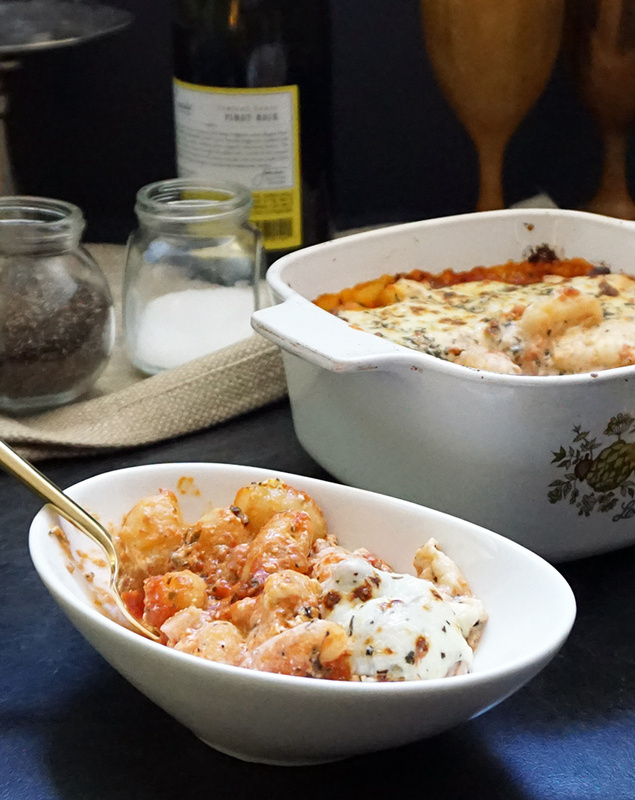 I love gnocchi, too, so it only seemed logical to try replacing the lasagna noodles with gnocchi for a casserole that smacks of lasagna. 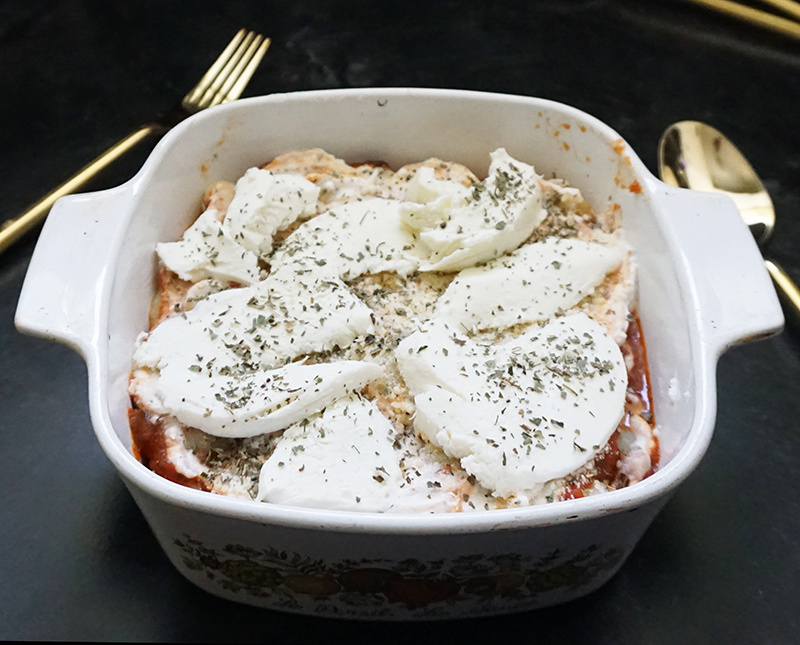 And if you’ve been around here before, you know I LOVE adding ricotta to anything anyway. Oh, and let’s throw some pancetta in there, too. 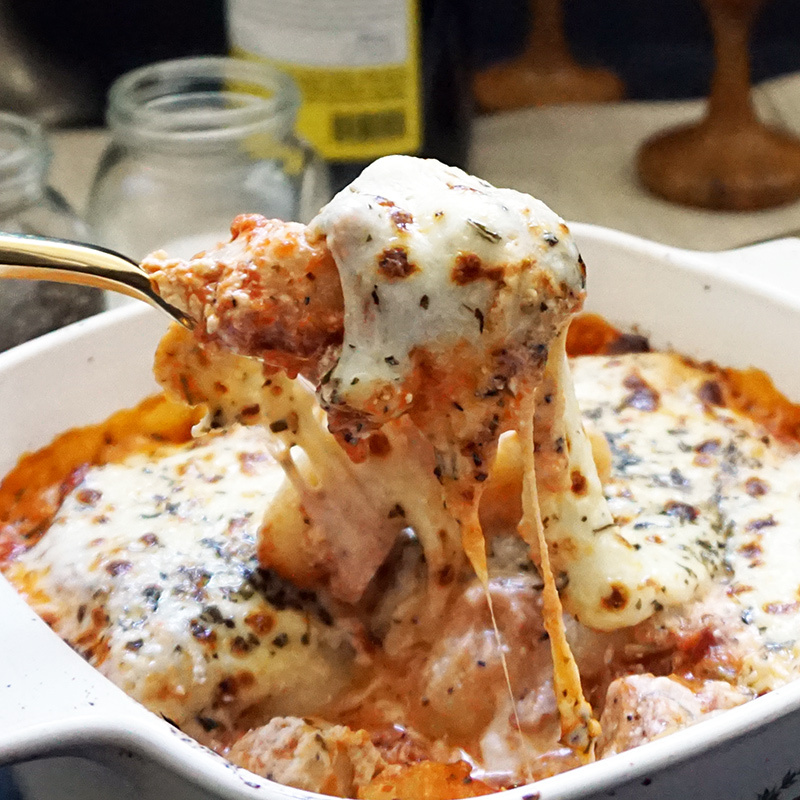 Voila: the ooey-gooey deliciousness that is this pancetta gnocchi lasagna. What I’ve deduced from this experiment is that you can pretty much replace the noodles with any pasta you like. 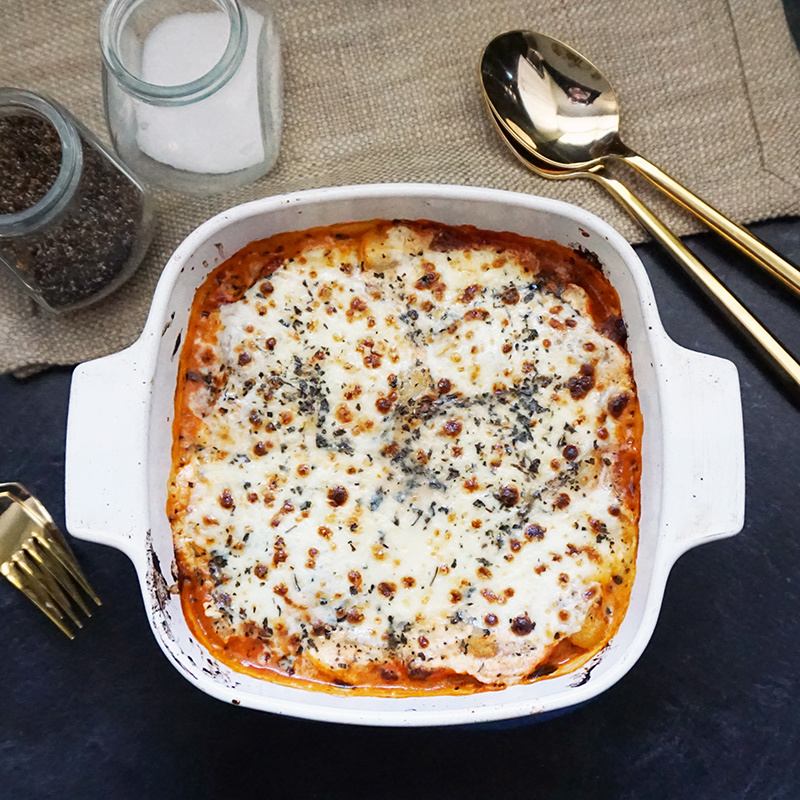 As long as you’re still using the same basic ingredients, it still tastes like lasagna… just with a twist! 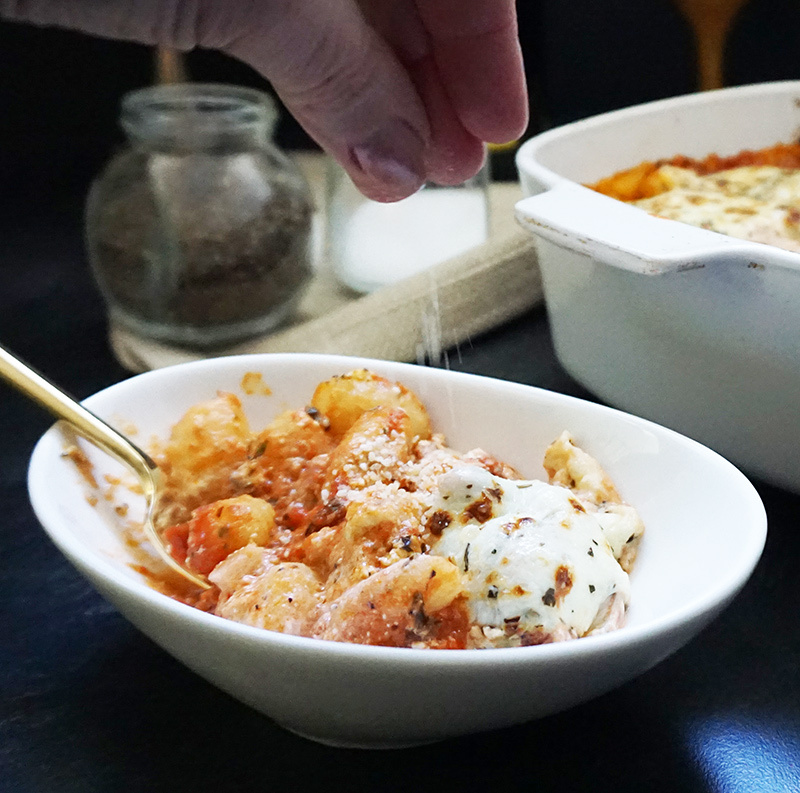 Feel free to use your own homemade sauce, homemade gnocchi, or homemade ricotta if you like. Or take a couple of shortcuts like I did with this recipe. 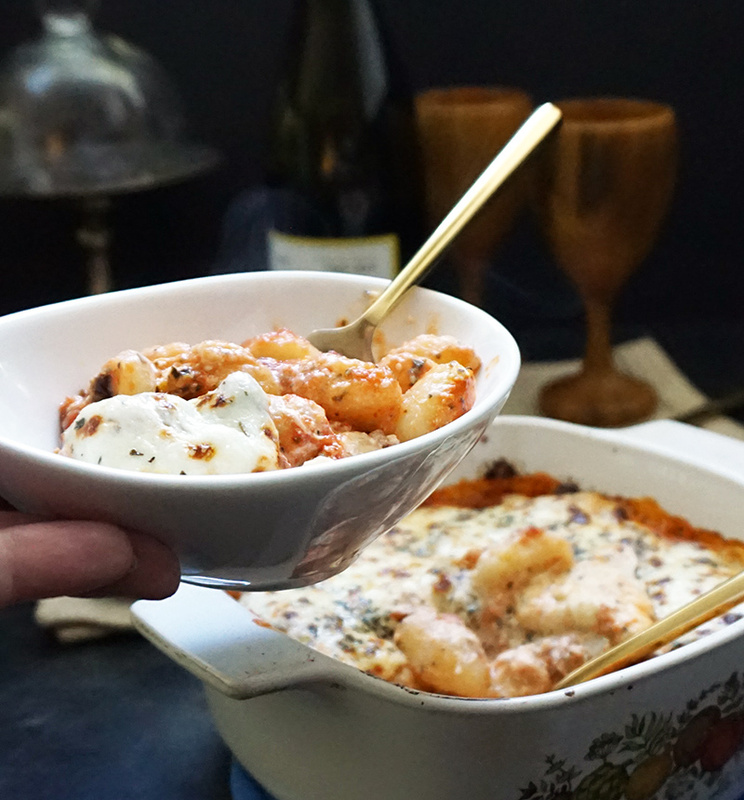 It’s great for a weeknight meal when you’re short on time. The prep takes only about 10-15 minutes and then you’re just waiting for it to get nice and bubbly. 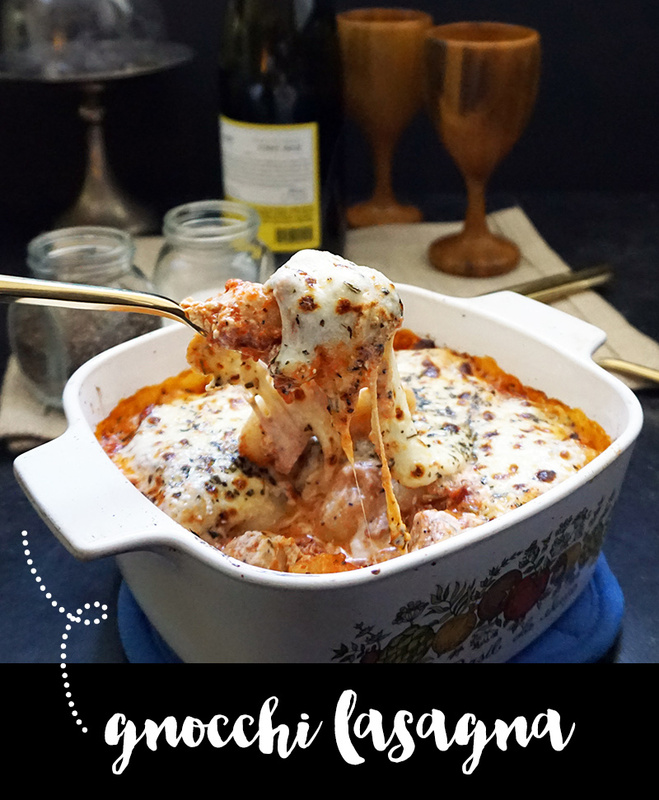 Want more Italian dish ideas? 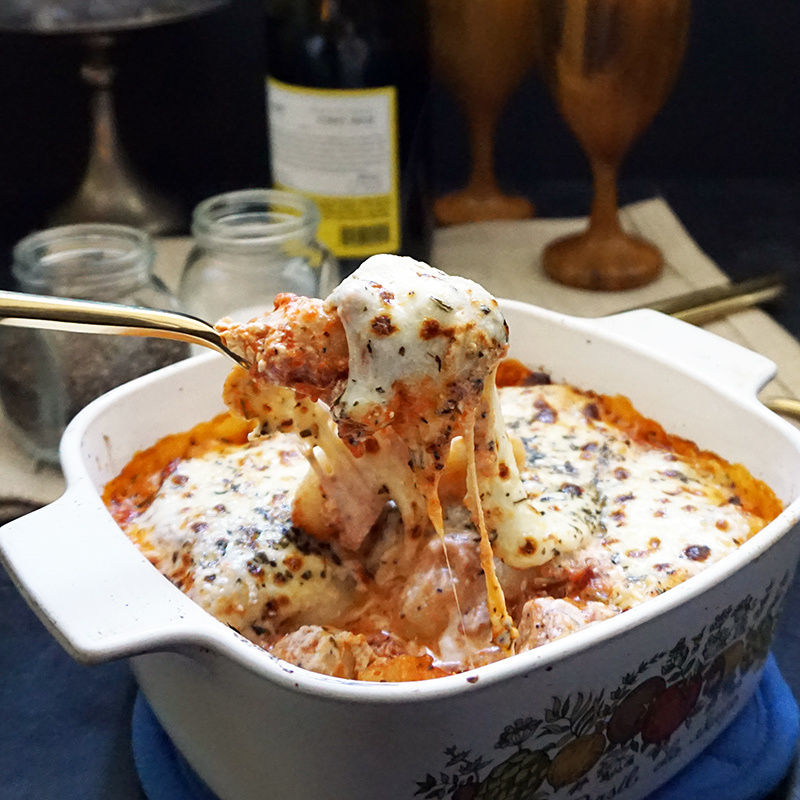 Check out the Italian food archives or pasta archives. Here’s a little animation of the various layers I used. It’s flexible, though, so go with your gut… literally. Cook the gnocchi in salted boiling water until they begin to float to the top. Meanwhile, in a small bowl, mix the ricotta with salt, pepper, garlic powder, onion powder, and half of the dried or fresh basil. 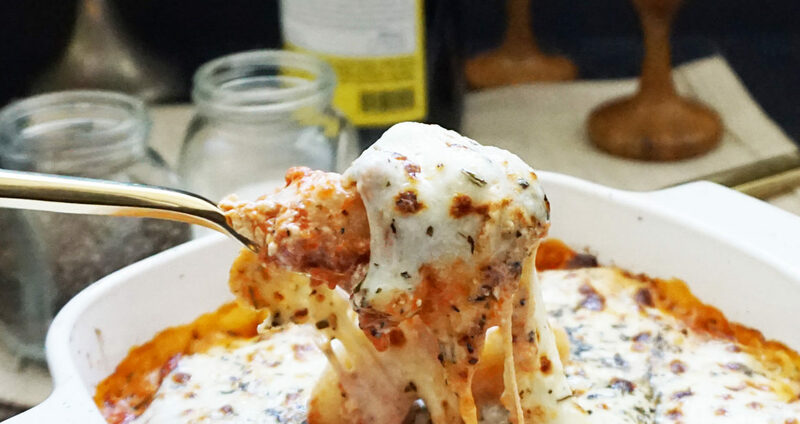 In an 8x8 casserole dish, layer the ingredients as follows: half of pasta sauce, half of the cooked gnocchi, half of the ricotta mixture, pancetta, the rest of the gnocchi, the rest of the pasta sauce, the rest of the ricotta, a layer of Parmesan, sliced mozzarella, and the rest of the basil. Bake covered for 15 minutes. Turn the broiler on high, uncover the casserole dish, and cook for an additional 5-7 minutes until lightly browned and bubble.